Well coming towards my today’s post which is highlighting free mobile in hand smartphone photo mockup, basically I made this free mockup for all those who have to display a poster, snap/picture, typography or an image—to the client. 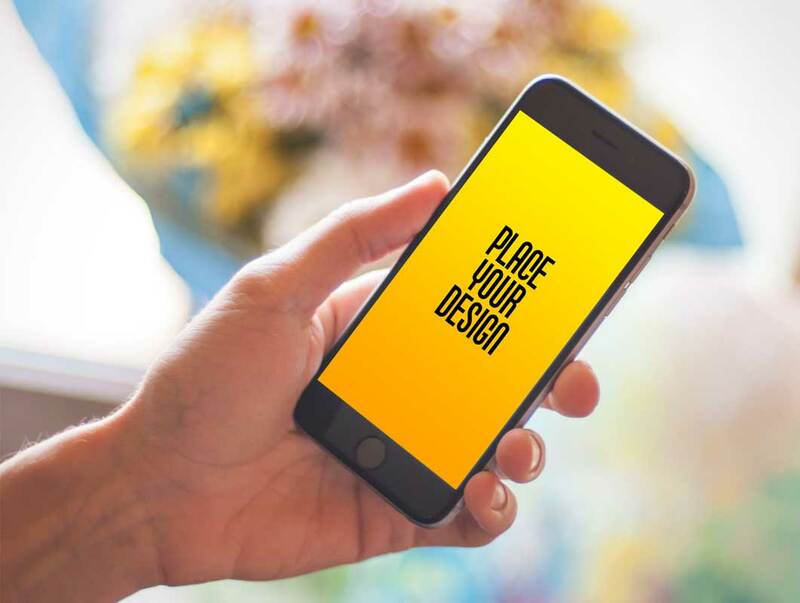 Simply insert in your design elements into this mockup of smartphone to manifest how the image will look like in the real form. 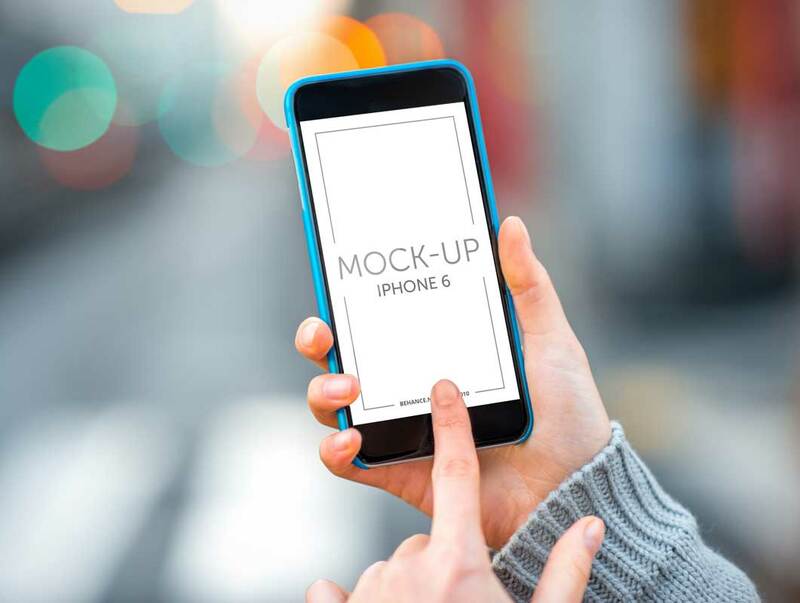 This outdoor photorealistic PSD Mockup adds your app screenshot onto the screen display of an iPhone 6. The shot includes a finger actively attempting to scroll the display of the iPhone while the background scene is washed in a bokeh effect.